As one of the best and most respected players of his generation, Joe Sakic cards and autographed memorabilia continue to be very popular. 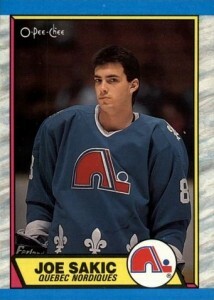 Sakic spent his 21-year career as a member of the Quebec Nordiques/Colorado Avalanche franchise. He served as the team's Captain from 1992 until his retirement in 2009. 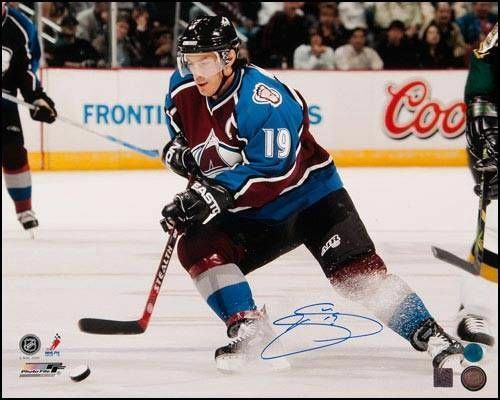 Considered by many to be among the best leaders of all-time, Sakic led the Colorado Avalanche to two Stanley Cups. 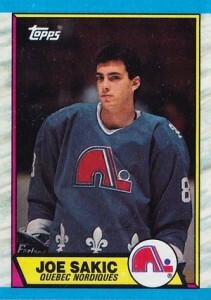 Joe Sakic's rookie cards were released in 1989-90 by O-Pee-Chee and Topps. In addition to his rookie cards, Sakic also has a handful of regional releases from the same year including cards issued by Kraft, General Foods and the Quebec Police. Sakic's first certified autograph cards can be found in the 1987-98 Be A Player set. His base autograph card is considered to be a short print despite not being serial numbered. He also has a die-cut parallel and a Prismatic die-cut card that has a print run of 100. 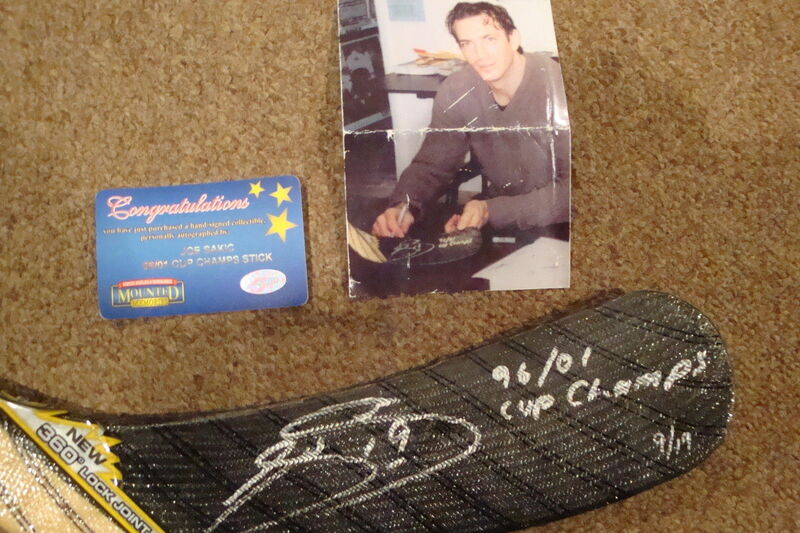 Upper Deck produced Joe Sakic's first game-used memorabilia card. The jersey card was included as an insert in their 1997-98 Upper Deck Hockey product. 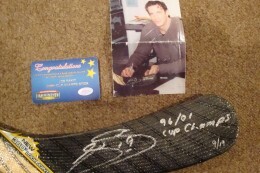 Joe Sakic's autographed memorabilia has always seen strong demand. After his retirement he transitioned to working in the Avalanche front office. The time constraints of that job have prohibited him from participating in regular autograph signings. He is, however, said to be a gracious in-person signer. Identical in design and photography, the only difference between this card and Sakic's Topps card is the bilingual back and logo. The O-Pee-Chee card contains both English and French. It's also valued less than the rarer Topps version. Collectors in the United States may have overlooked this card upon its release. 1989-90 is a rare instance where the Topps Hockey cards are worth more than their Canadian O-Pee-Chee counterparts. 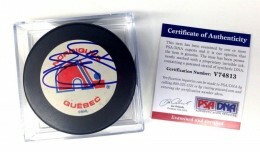 Below you will find an example of what Joe Sakic's authentic signature looks like. 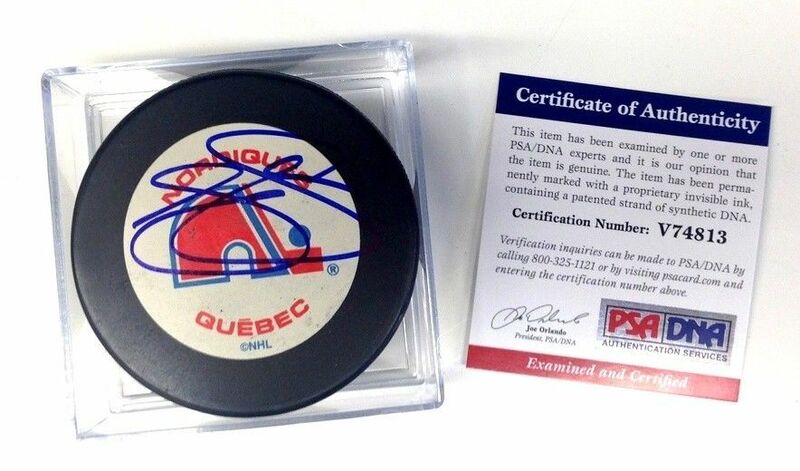 This can be used as a first point of reference for determining the legitimacy of autograph memorabilia, but is not a substitute for having your items authenticated by a well-respected professional autograph authentication company. Some of the trusted sources within the sports memorabilia market include the following companies: PSA, JSA, and Mounted Memories. 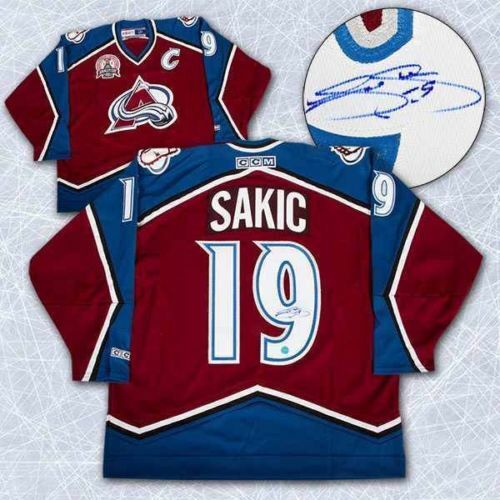 Sakic possesses a very simple signature consisting of three characters. The first character is the initial "J" which looks similar to a squished and flattened number "8." It does not connect in the middle on the left side. The second character is the initial "S," which is uniquely written with its small curly cue at the top. A small horizontal line extending to the right is also visible. The final character is his jersey number "91" placed between the two initials.